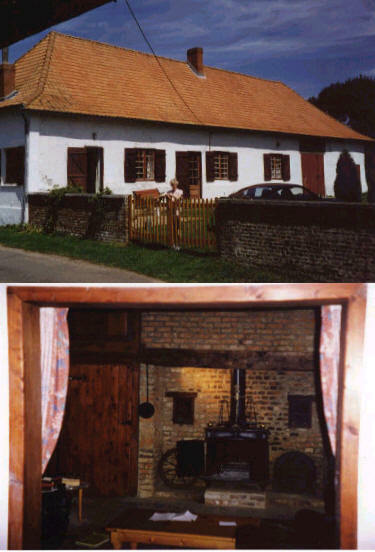 We are based in an ancient farmhouse in a rural farming village. The house is heated by log fires and wood burning stoves and has a wealth of original features including old beams etc. It’s a truly rural area. If you are planning to travel to us by car we will provide you with directions. Staying with us you are seeing old France a completely different experience to a roadside motel. Because we provide accommodation and transport we can offer a much more flexible approach than UK based operators. We maintain an extensive library on the area and if visitors require a particular itinerary or to visit a particular grave we usually can accommodate providing we are told before the booking is made. 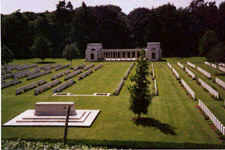 What we are offering is not a coach trip round a few war graves but the opportunity to see the things that really interest you – if you are an Australian to see where Australia fought and to see the associated monuments and we will put a lot of care into personalizing the trip to suit your inclinations. If it’s the great war poets or other literary/film associations we can cater for that as well. Click here to download it in Rich Text Format (readable by most other word processors) 40Kb. Click here to visit the Battlefield Tours page for up-to-date info. Australian 5th Div Polygon Wood - in Butte Cemetery. 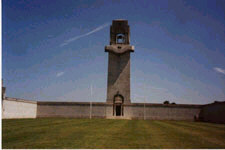 Vimy Ridge Monument and Memorial Park. 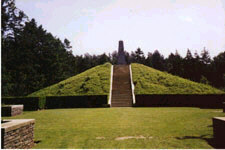 3rd Canadian Division Memorial at Vimy Ridge. 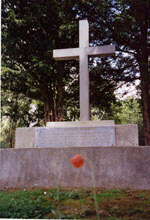 Villers Bretonneaux - Australian National Monument.